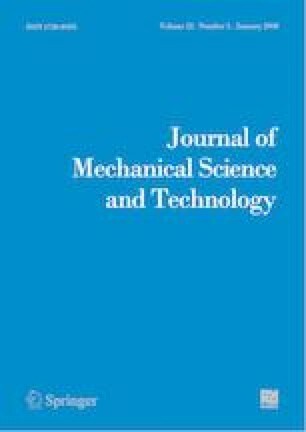 In this study, the pre-buckling and post-buckling behaviors of layered composite plates which were made of woven carbon fiber fabric with a circular hole in the middle were investigated experimentally and numerically. Firstly, load-displacement graphs of composite plates with different hole diameters were experimentally obtained under compressive load. Then the numerical load-displacement graphs of the plates were found with the ANSYS package program which used the finite element method. As a result, after linear buckling experimental and numerical results were found to be compatible with each other. In addition, damage behavior of plates after buckling with the aid of Tsai-Wu damage criterion was obtained similar to experimental results. The increase in hole diameter did not change the load-displacement behavior characteristics of the plates after buckling. However, it has reduced maximum damage load and maximum failure displacement. The stress at the perimeter of the hole increased significantly with the increase of the vertical displacement with immediately after the buckling but later was not significantly affected by this increase. Serkan Erdem received B.S. degree in the Department of Mechanical Engineering, Selcuk University, Konya, Turkey in 2006. He received his M.S. degree in the Department of Mechanical Engineering, Firat University, Elazig, Turkey in 2006. He is currently a postdoctoral researcher in the same department. His research interests include buckling, fiber reinforced composites, failure analysis, biomechanics. Mete Onur Kaman received B.S. and M.S. degrees in the Department of Mechanical Engineering, Firat University, Elazig, Turkey in 1999 and 2000, respectively. He received his Ph.D. degree in the Department of Engineering Science, Middle East Technical University, Ankara, Turkey in 2006. He is currently Associated Professor in the Department of Mechanical Engineering, Firat University, Elazig, Turkey. His research interests include facture mechanics, fiber reinforced composites, failure analysis. Mustafa Gur received B.S., M.S. and Ph.D. degrees in the Department of Mechanical Engineering, Firat University, Elazig, Turkey in 1985, 1989 and 1995, respectively. He is currently Assistant Professor in the same department. His research interests include solid mechanics, fiber reinforced composites, failure analysis.